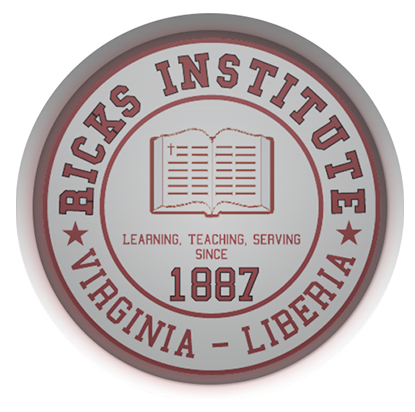 Campus Life at Ricks Institute is a rich experience complete with exciting daily and weekend activities as well as community service opportunities. Students are encouraged to take part in athletic activities. At the beginning of each school year, each class at Ricks competes in class meets in various sporting activities including football, kickball and basketball. Students do have opportunities to play on the school teams which compete in various organized sports. Spiritual Life The overall life at Ricks Institute is directed by Christian spiritual life. This is evidenced in the daily rhythms of our school community. Students are encouraged, challenged, and nurtured by faculty, administrators, staff, coaches, dorm supervisor, alumni, speakers, and their friends and classmates to become responsible followers of Jesus Christ. The integration of faith and learning in the classroom, daily school devotion, and Chapel services all serve to help foster individual growth in the knowledge of Jesus Christ. 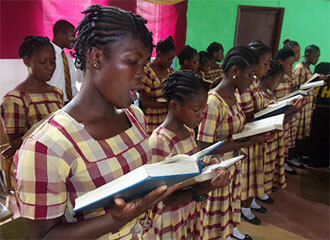 Students are required to attend daily devotion and chapel service. They hear from guest speakers, the Ricks Institute faculty and their peers on a wide range of topics. In addition, Boarding students are required to attend formal Sunday Chapel services and daily dorm devotion. Each semester, the school observes Spiritual Emphasis Week when a guest speaker address the students in a series of services for a week. 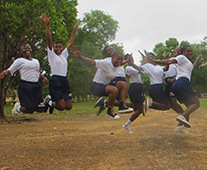 Students are encouraged to get involved in mission and service projects. Day student Life Day Students are an integral part of our community at Ricks Institute. Students come from local villages and communities ranging as far as 8 to 9 miles radius. Their experience is a wonderful mix of daily home life, while receiving a quality boarding school education. The presence of boarding students on campus affords day students the opportunity to form lasting friendships, a wonderful preparation for service to others.